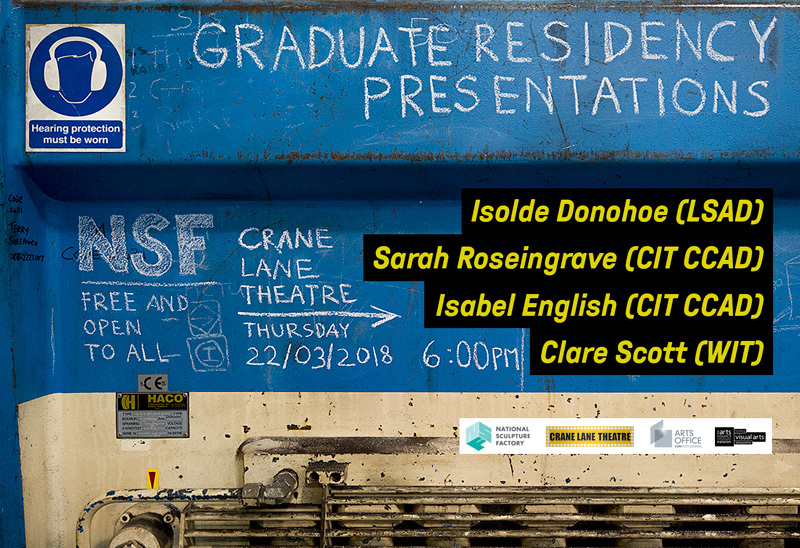 Join us for this year’s NSF Graduate Residency Presentations on Thursday 22nd March, 6 pm, at Crane Lane Theatre. 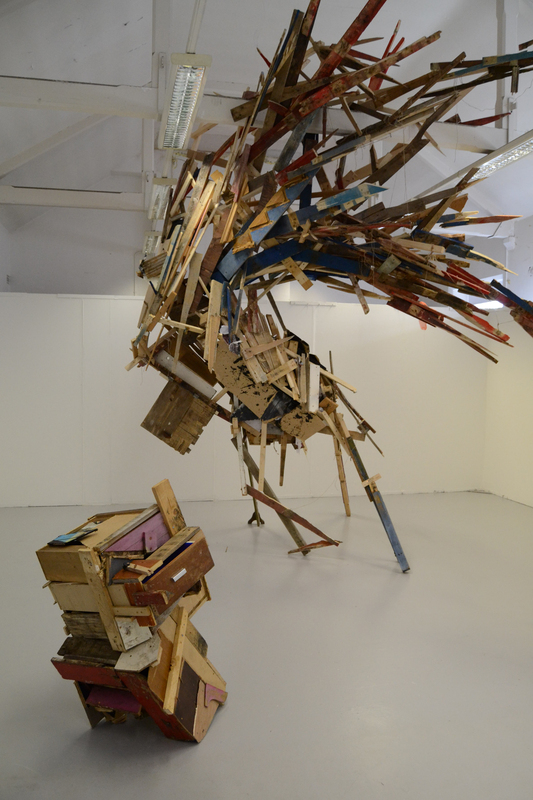 Scott’s work focuses on the artwork as a process. It aims to examine the nature and influence of the unconscious, characterised by the individuals’ unique constellation of experiences, by fixing the course of its creation in the physical world. 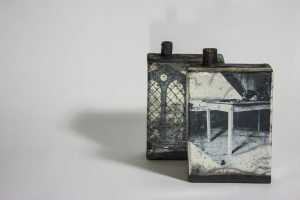 The work is an embodiment of making where particular quirks come to light leading to a journey of discovery for both artist and viewer alike. 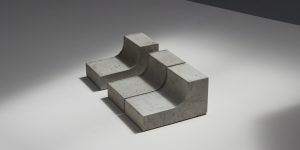 English’s current set of work is based around the notion of found drawings left as evidence for what could be described as unrealized plans to some sort of Utopia. It manifests itself in a number of different ways; a 3D rendering; a sets of modular concrete blocks’ series of drawings often grouped together on top of a seamless plane, balanced on lengths of timber. Nothing here is set, there is no mortar holding it together. Roseingrove draws on memory, such as imprints, traces, and residues as inspiration. Her research involves deserted spaces, their interiors and exteriors. Ephemeral atmospheres are created via obscured, layered and cracked surfaces. Themes of growth and transience are linked to memory, such as nature taking back over abandoned places.